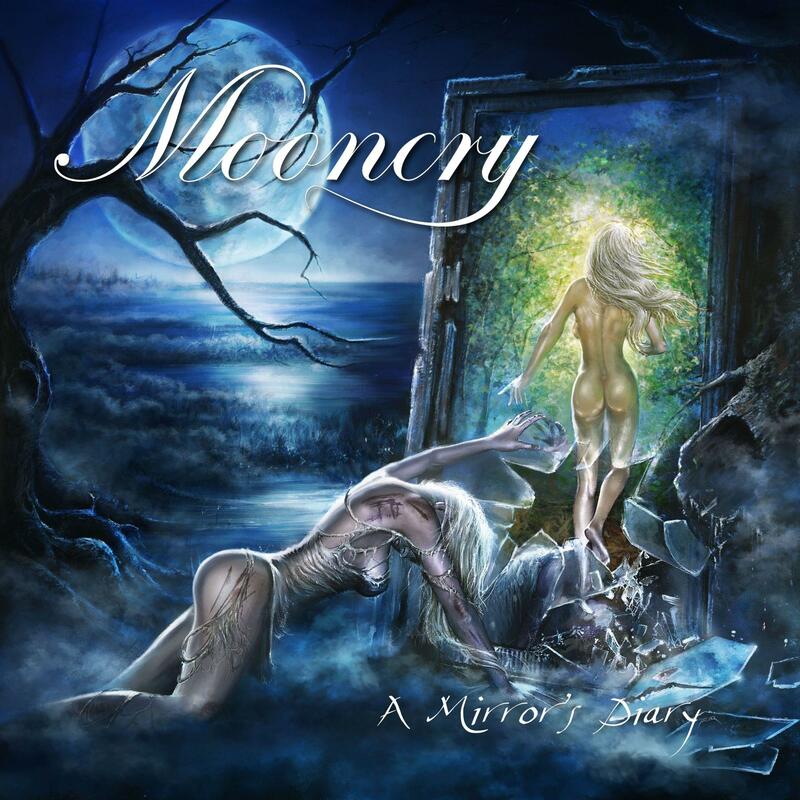 Mooncry - "A Mirror‘s Diary"
Powerful heavy guitar riffs with classical orchestral keyboard sound and energetic drumming, frames the melancholic poetries of diversified and powerful male vocals. With its mystic and dark, epic and aggressive, melodic and emotional tunes and lyrics, MOONCRY creates a truly dynamic and touching atmosphere. In 2007 the debut album “Legacy of Hope” was released, in 2010 the 2nd album „Rivers of Heart“ followed. 2011 MOONCRY played at the biggest European metal festival together with bands like Sabaton, Amorphis, Cradle of Filth etc. Also the promotion label CMM and its division SAOL became aware of MOONCRY, and the band signed a new distribution deal. At the beginning of 2012 the heavy-magazine Stormbringer chose „Rivers of Heart“ for the best album of 2011, and MOONCRY for surprise of the year 2011. In spring 2012 MOONCRY was choosen for tour support for the band SERENITY, and some time later MOONCRY was Headliner together with the legendary band AXXIS. 2013 MOONCRY recorded their 3rd Album „A Mirror’s Diary“. With this new CD the band managed to present not only their further musical development by taking the line of the previous album, but even enter an absolutely new level of Dark Melodic Metal: More powerful, more epic and more dynamic than ever before.